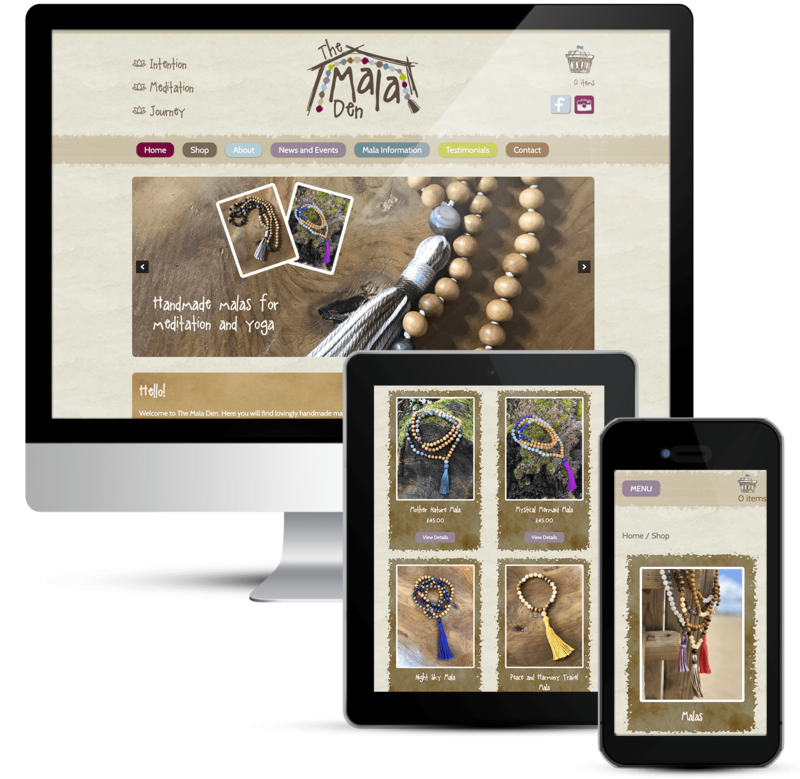 eCommerce web design with WooCommerce. 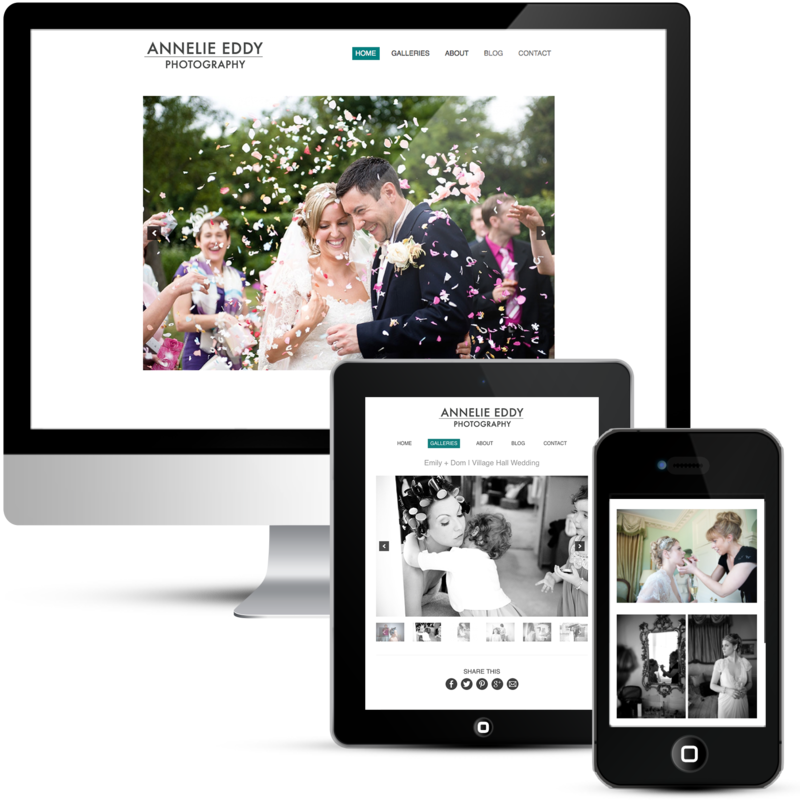 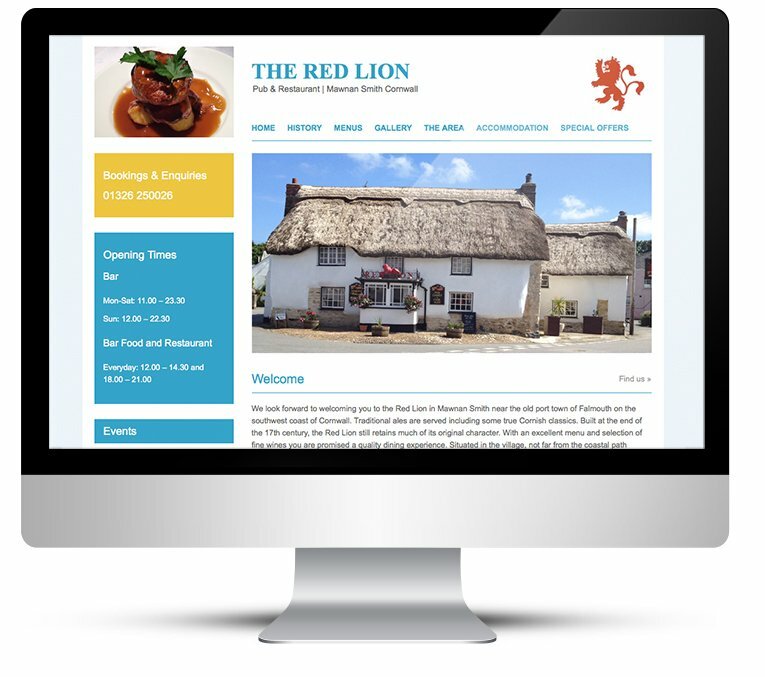 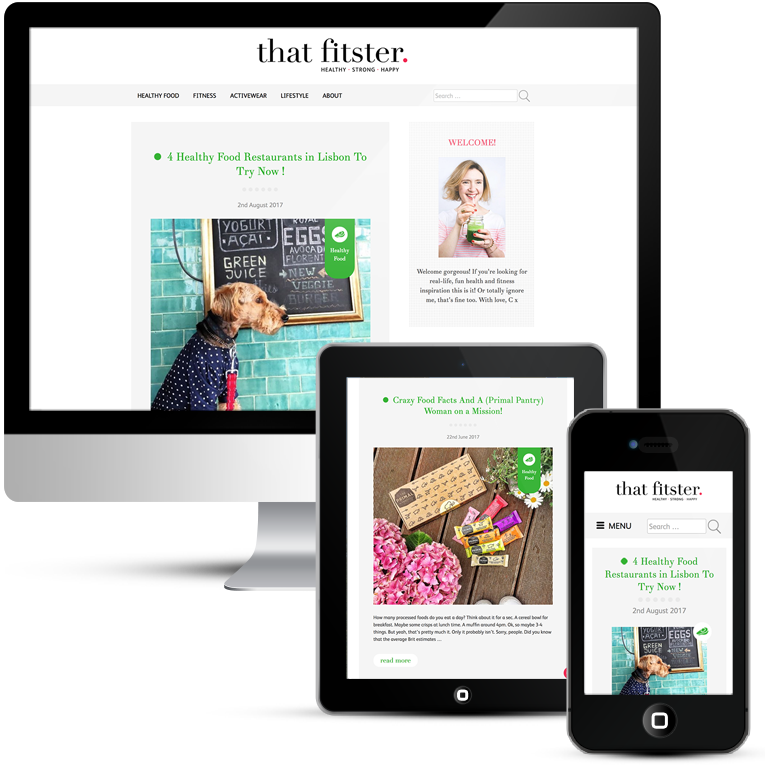 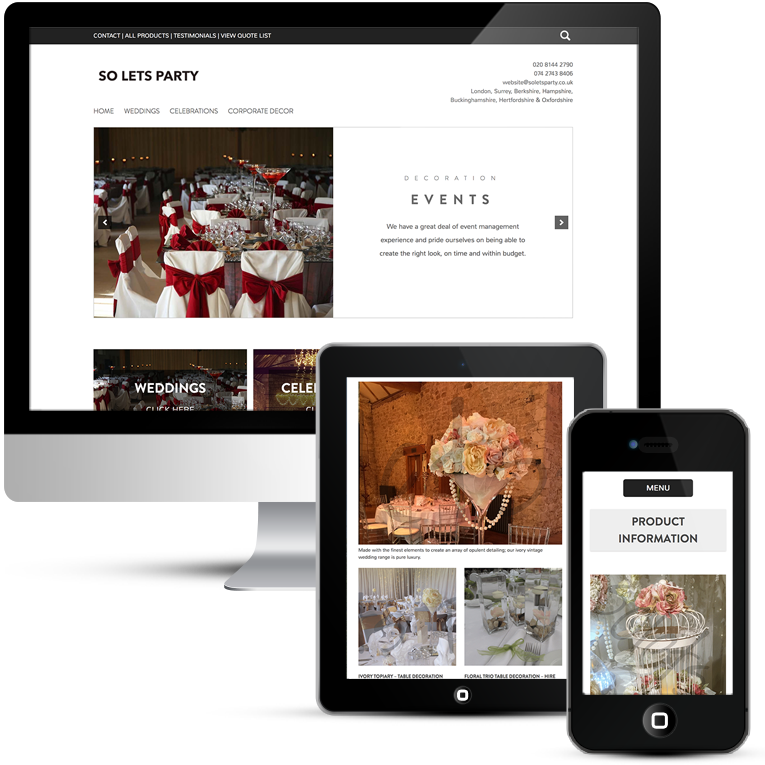 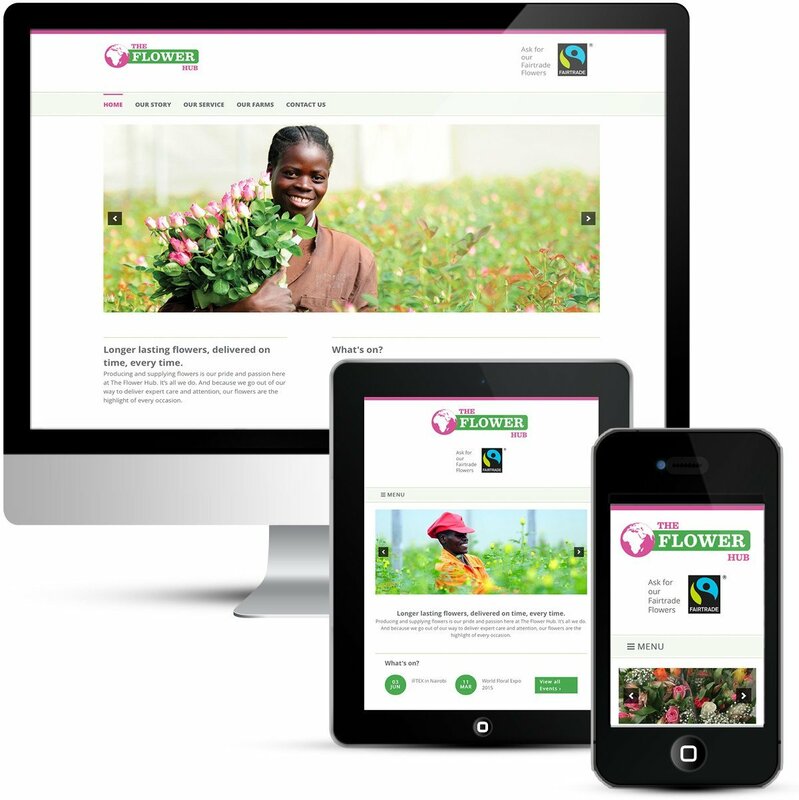 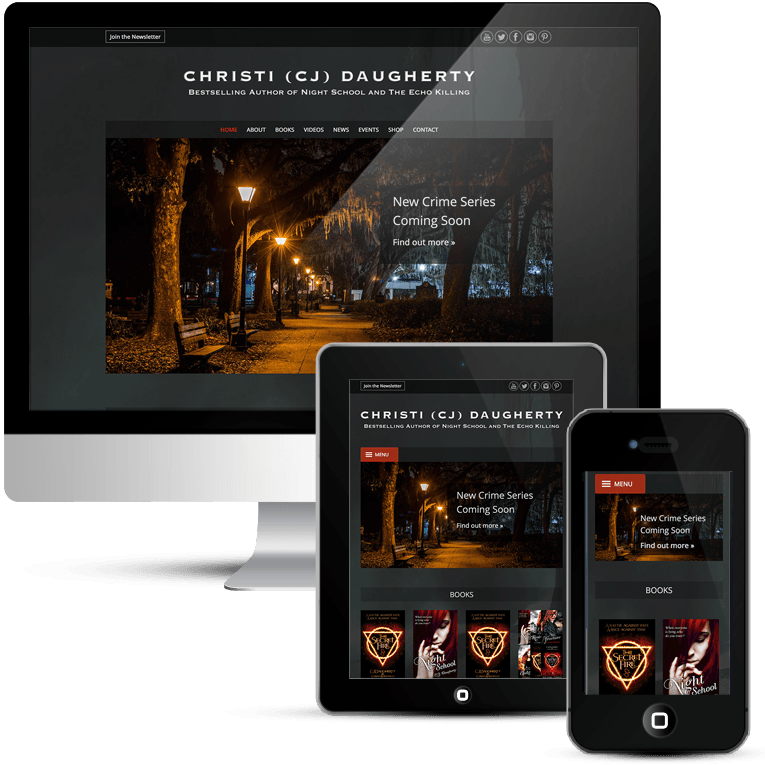 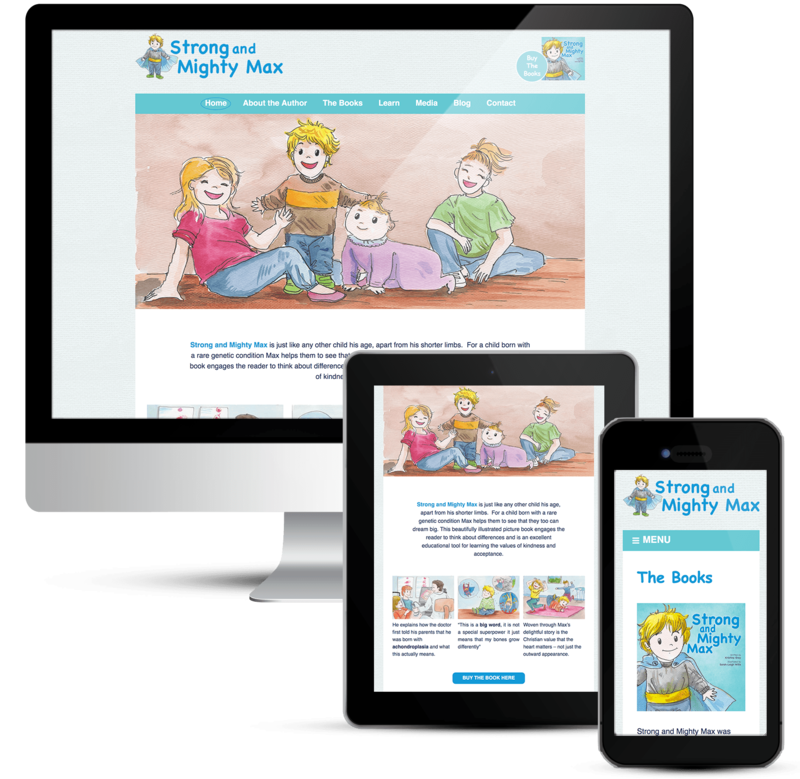 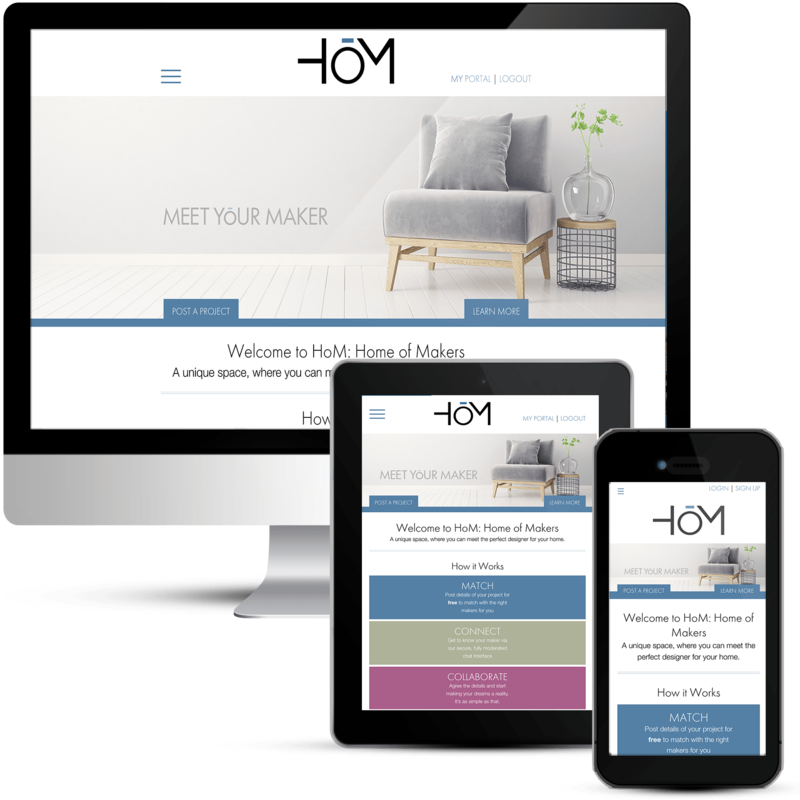 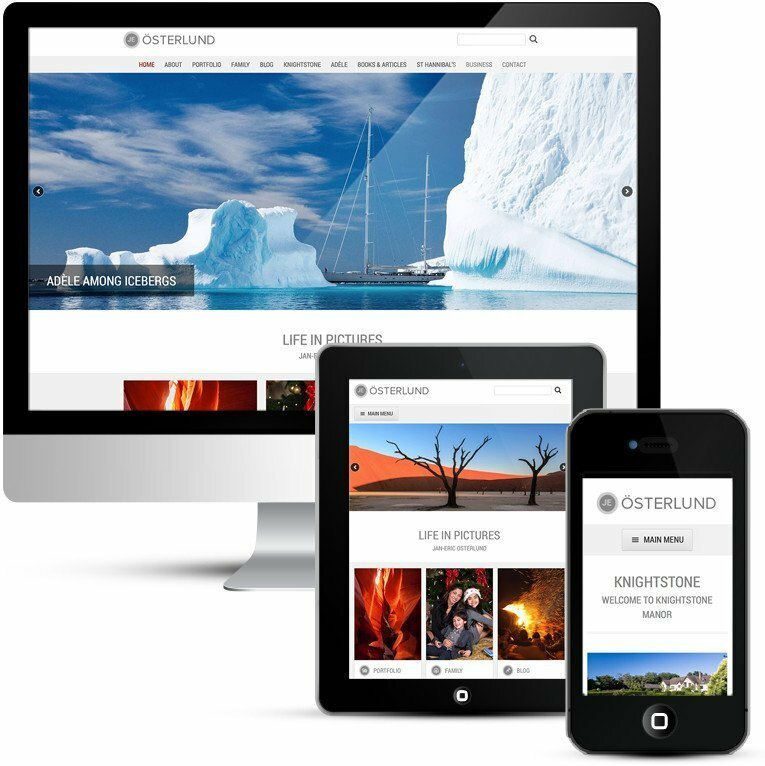 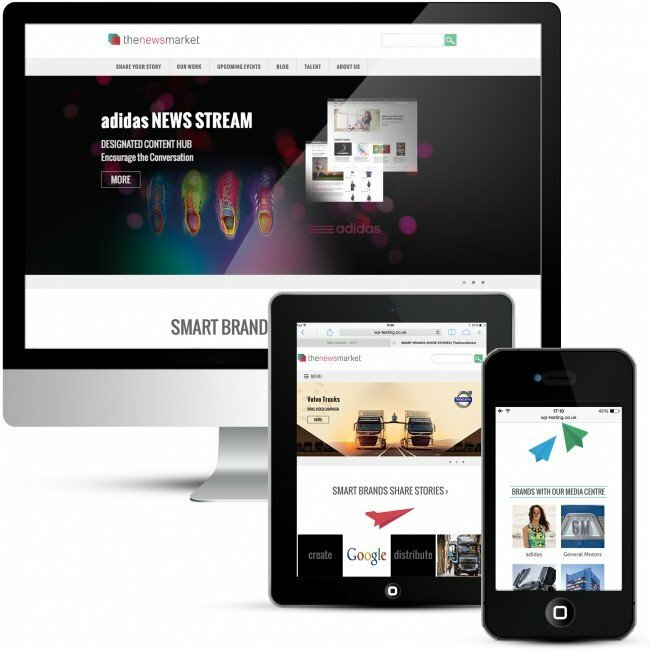 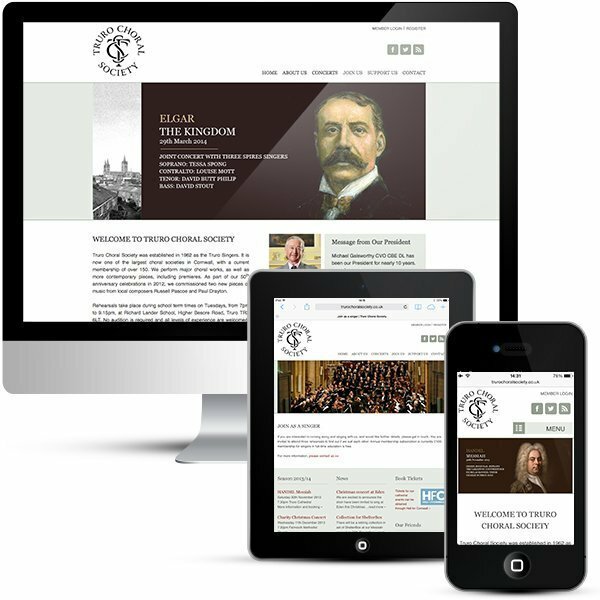 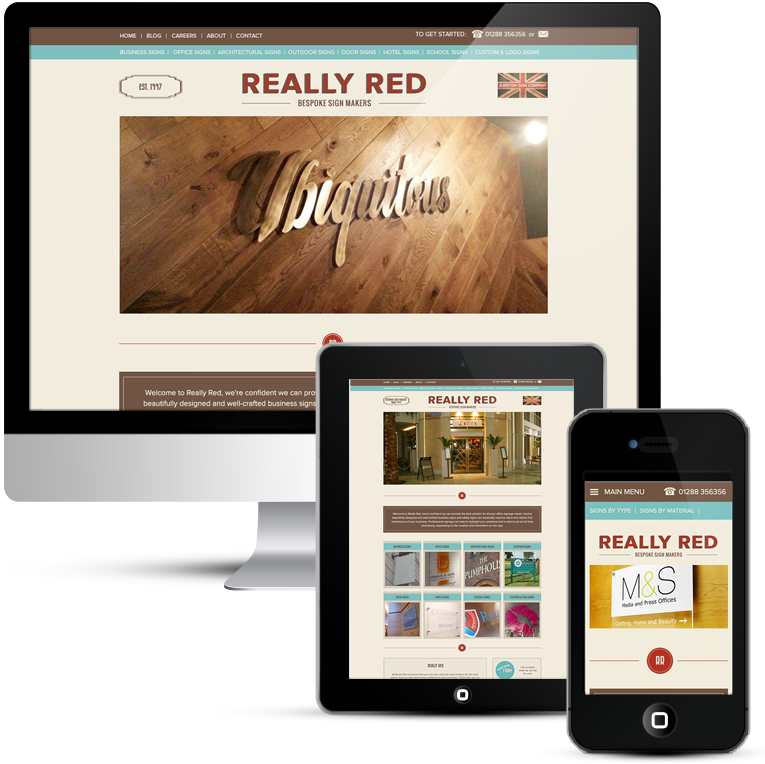 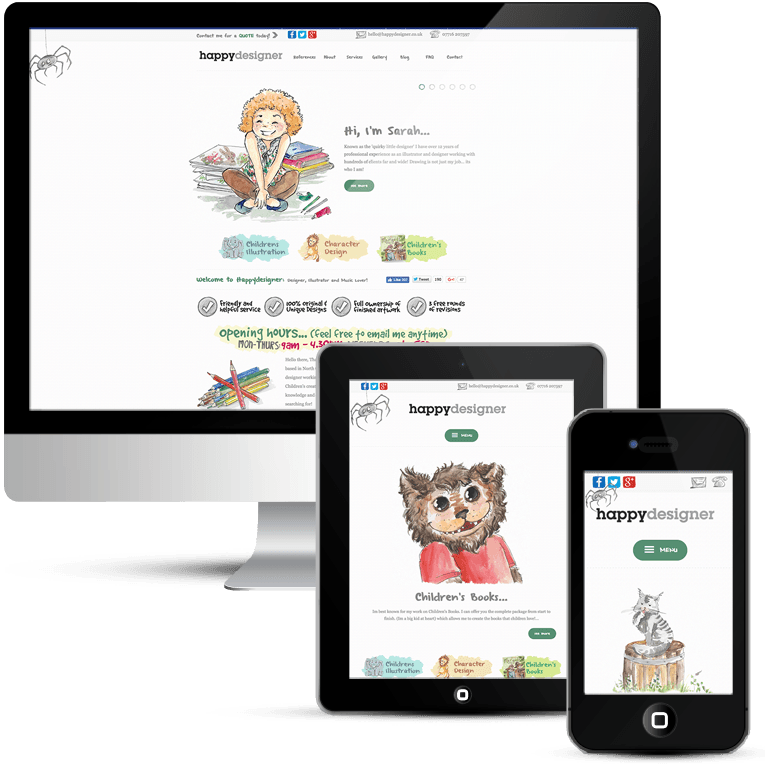 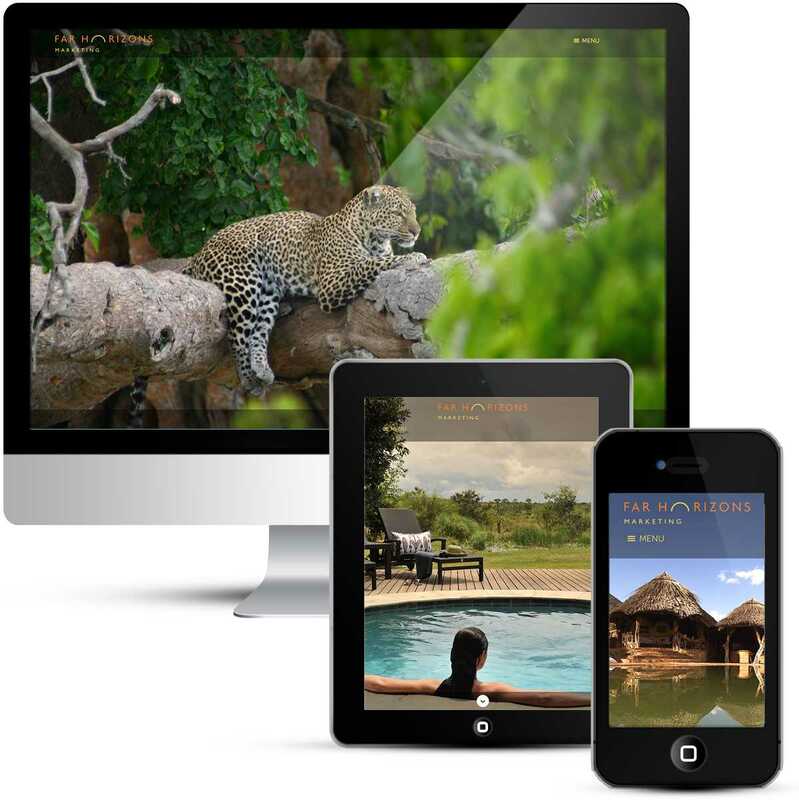 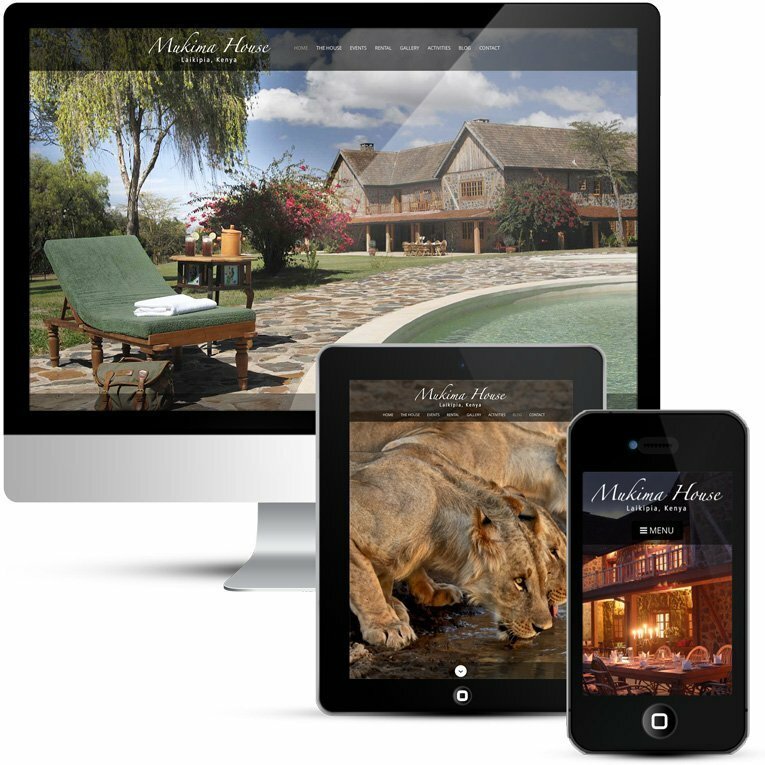 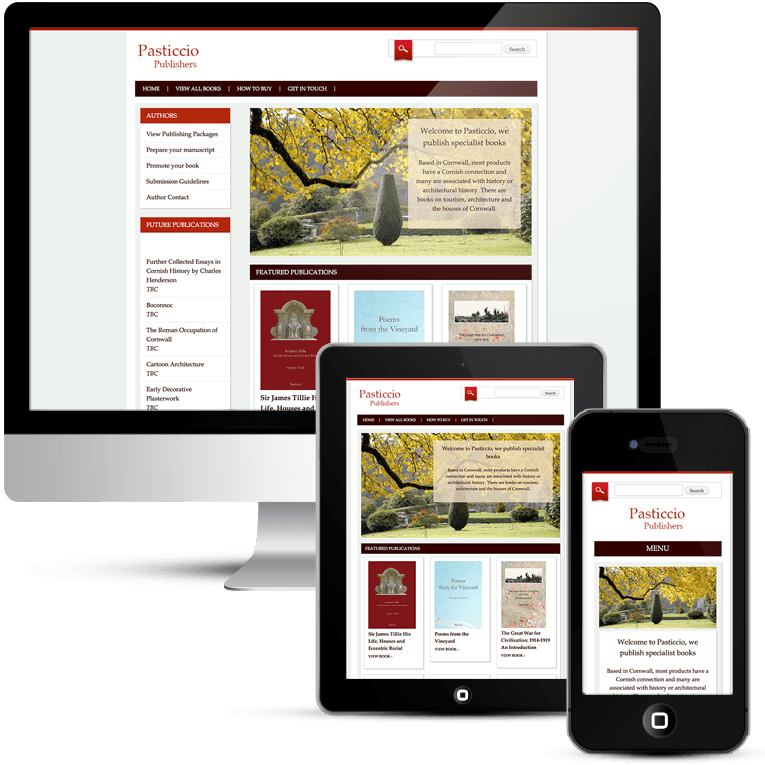 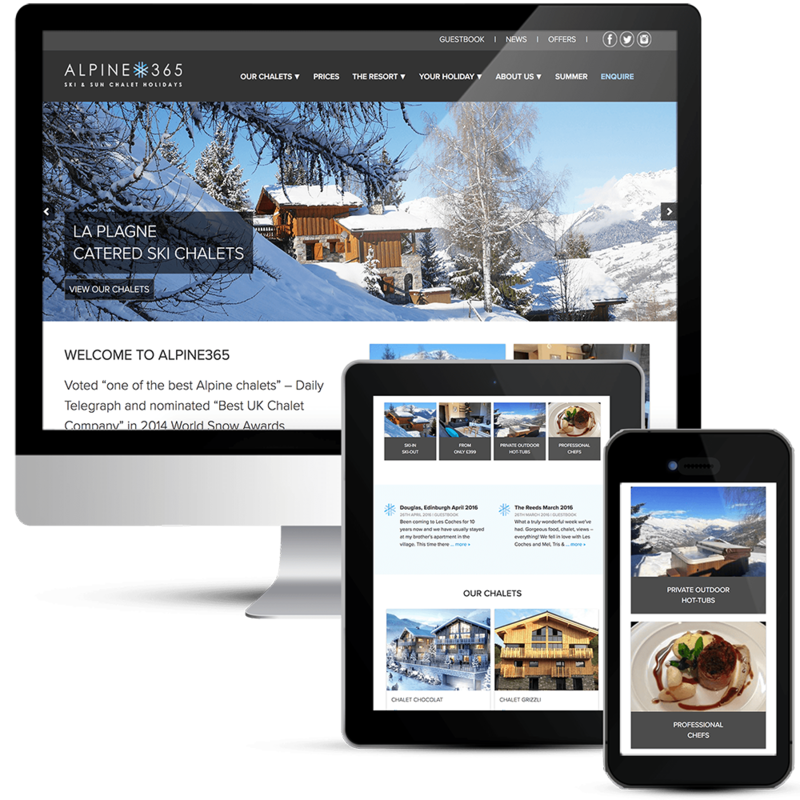 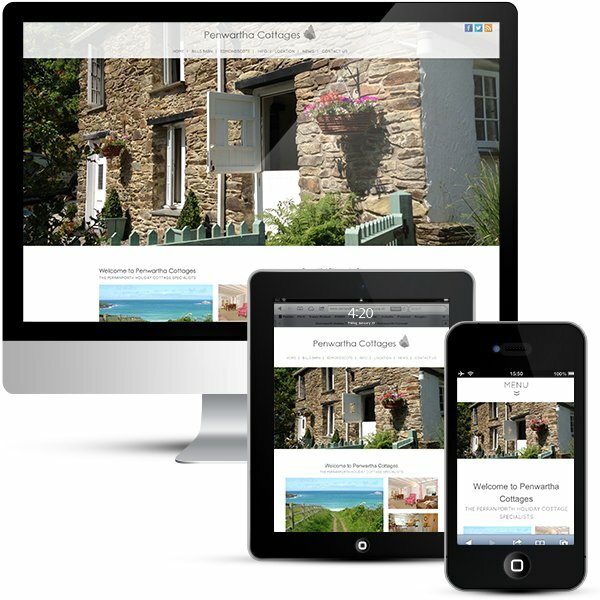 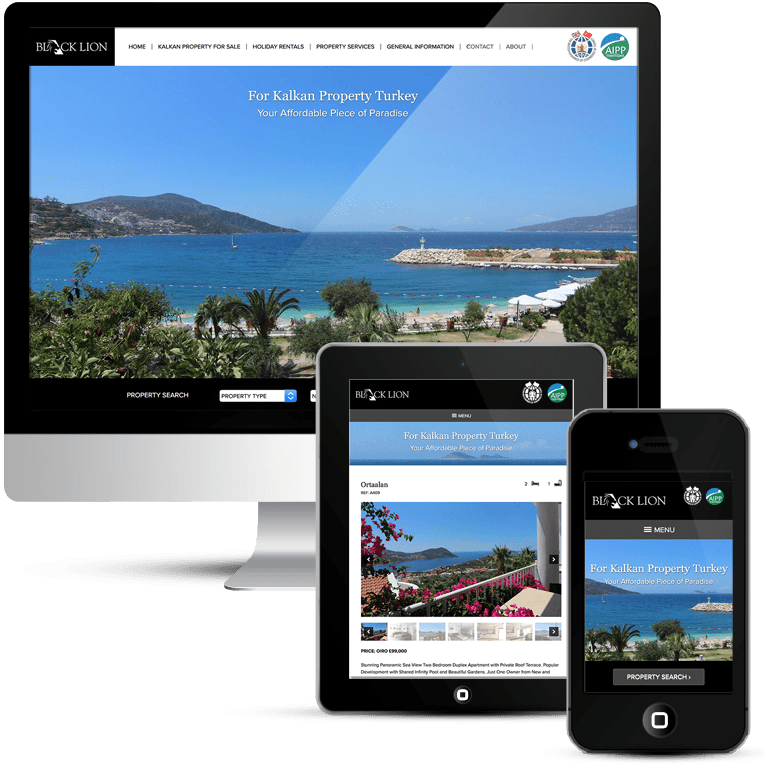 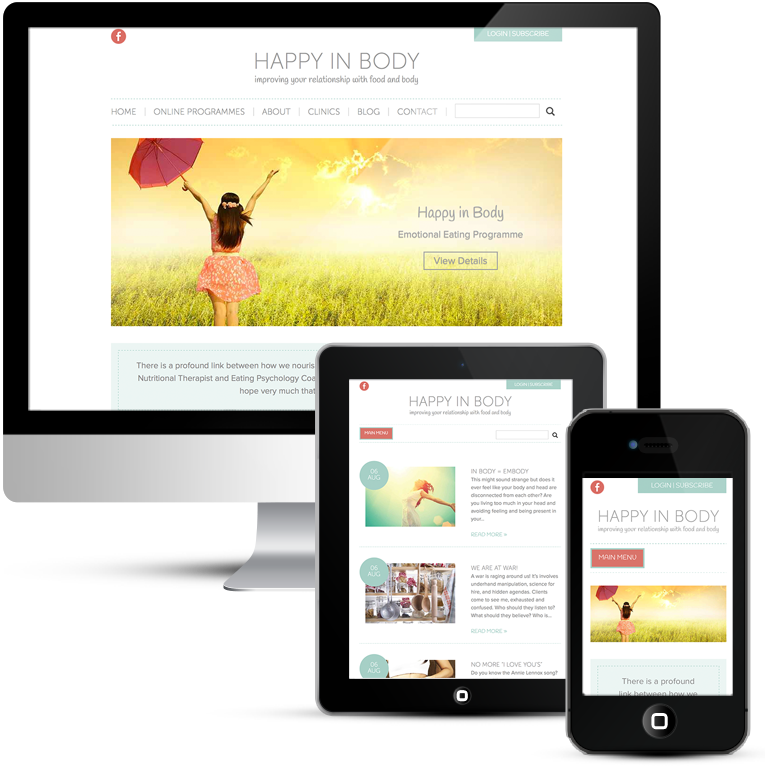 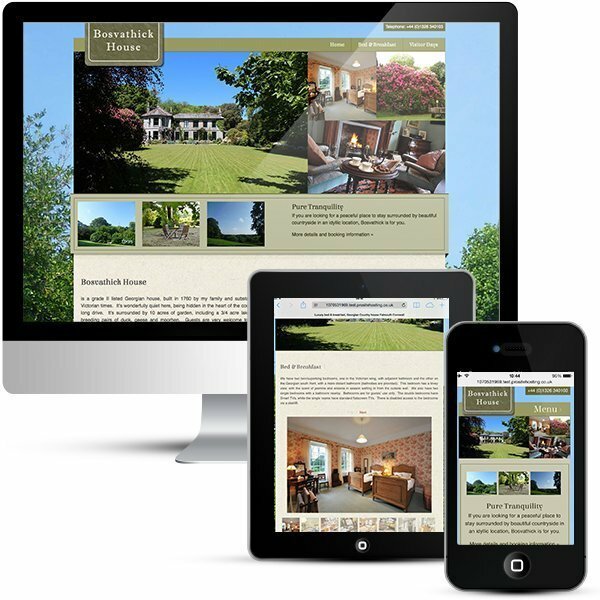 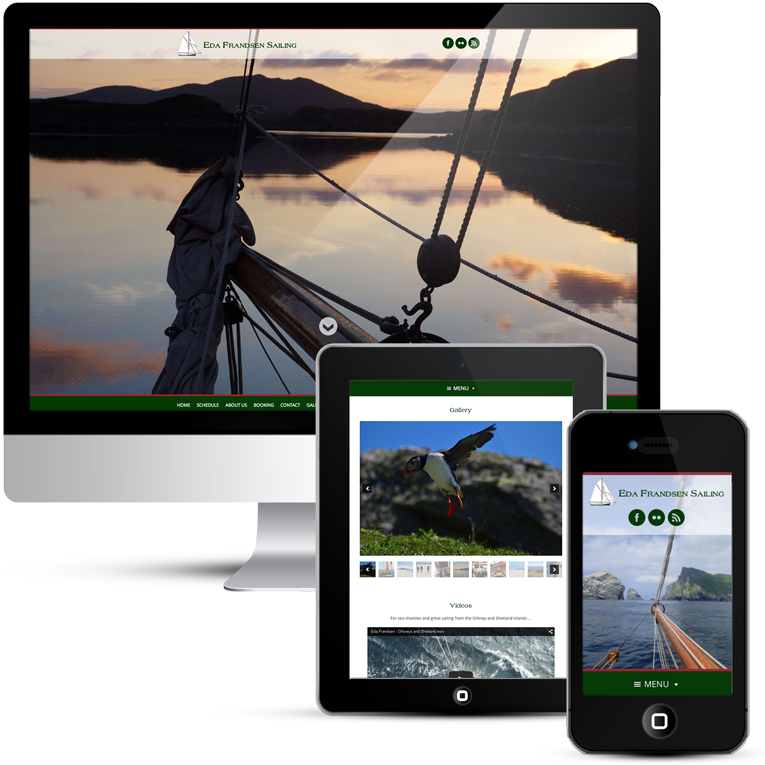 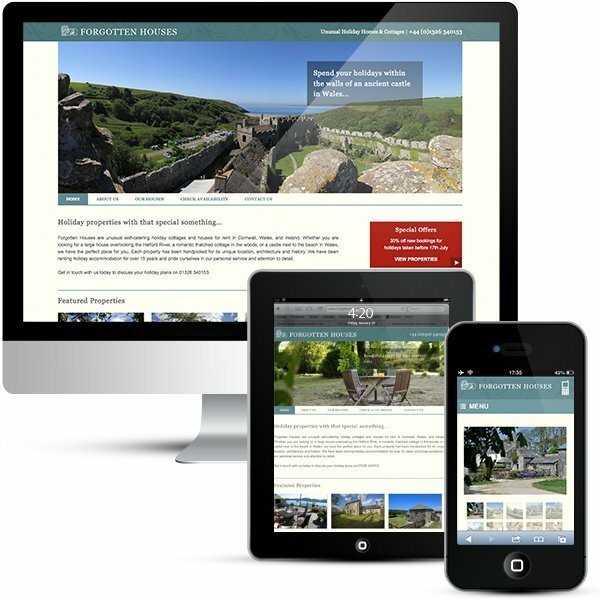 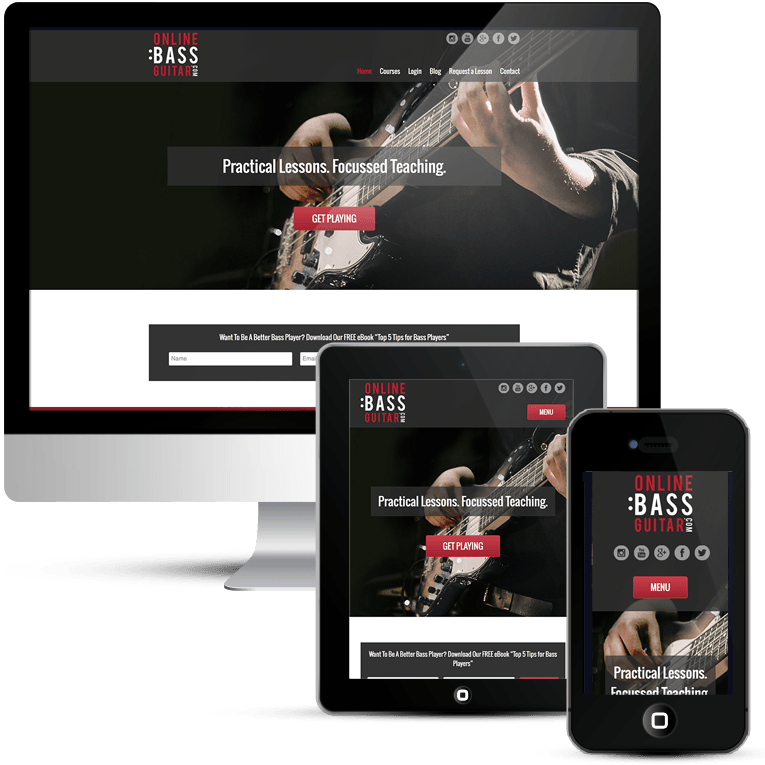 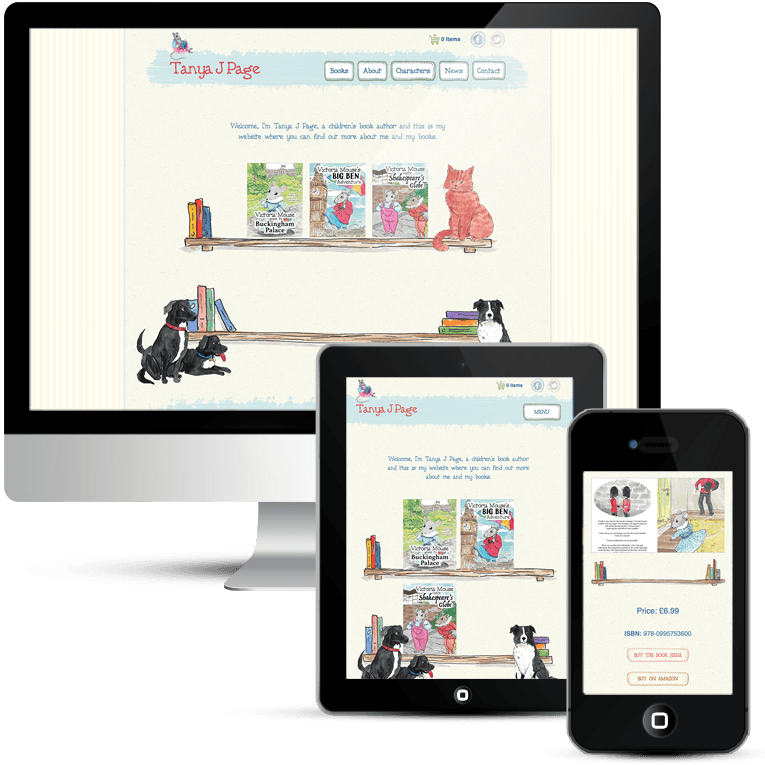 A responsive web design with WordPress. 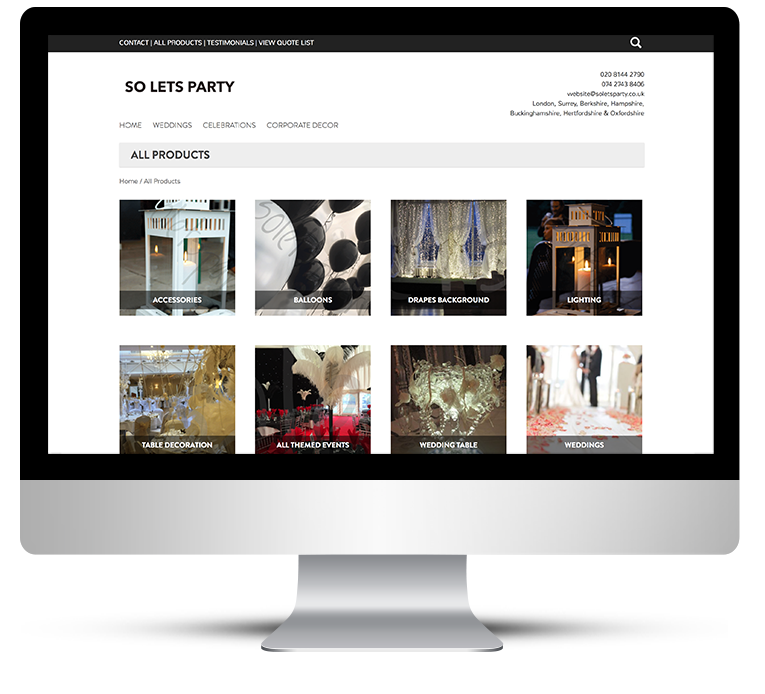 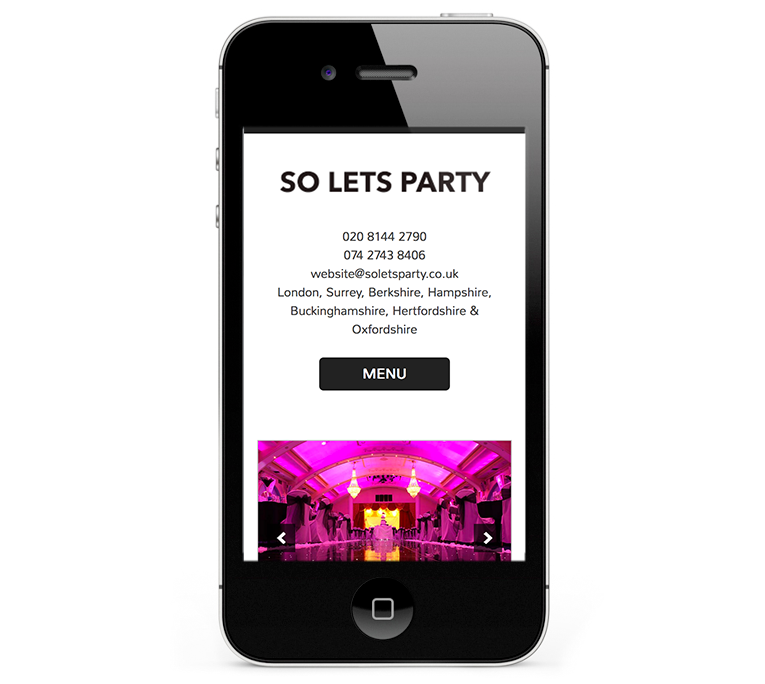 So Lets Party is the perfect choice for inspired venue decorations. 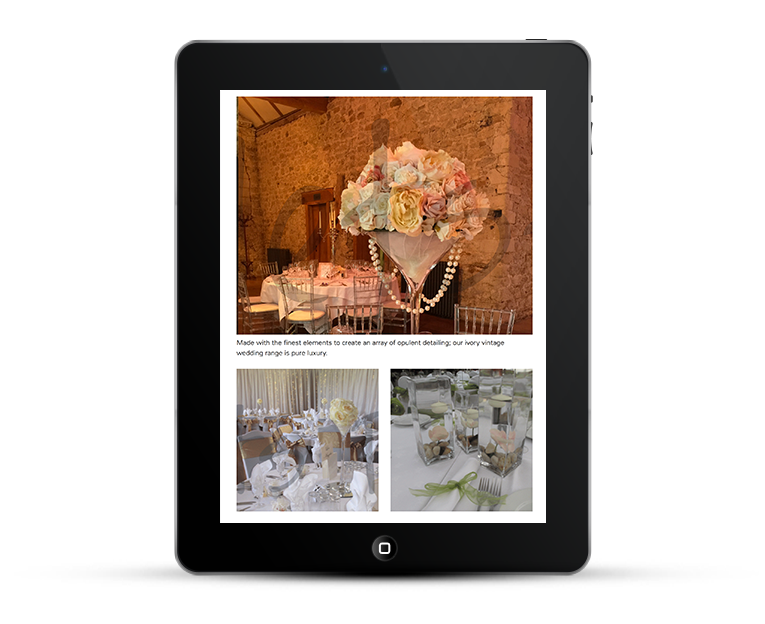 The collection varies from Wedding Hire to Corporate/ Gala Events, Themed parties through to Venue Styling and Set Up. 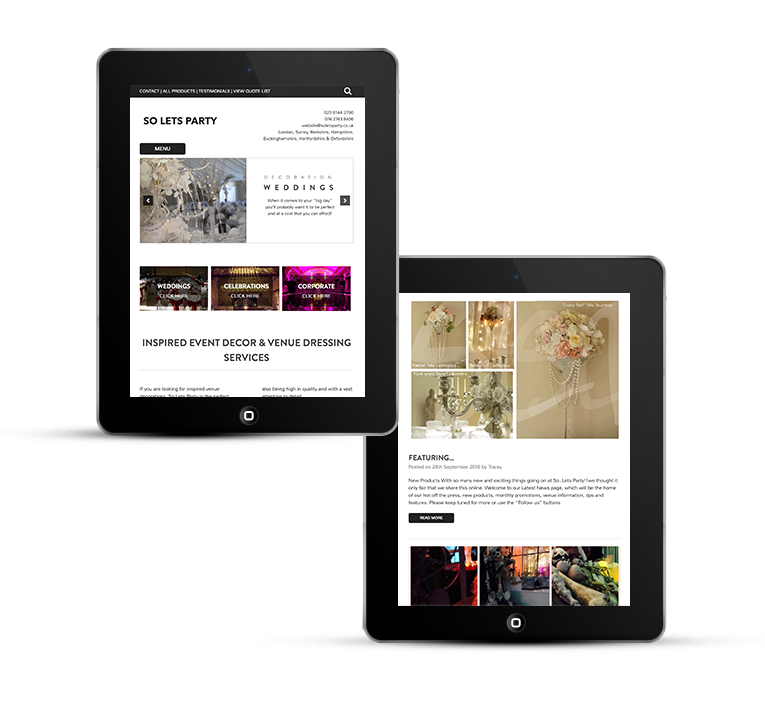 They cater for First Birthday parties; Themed Celebrations and glamorous “Red Carpet” Styling. 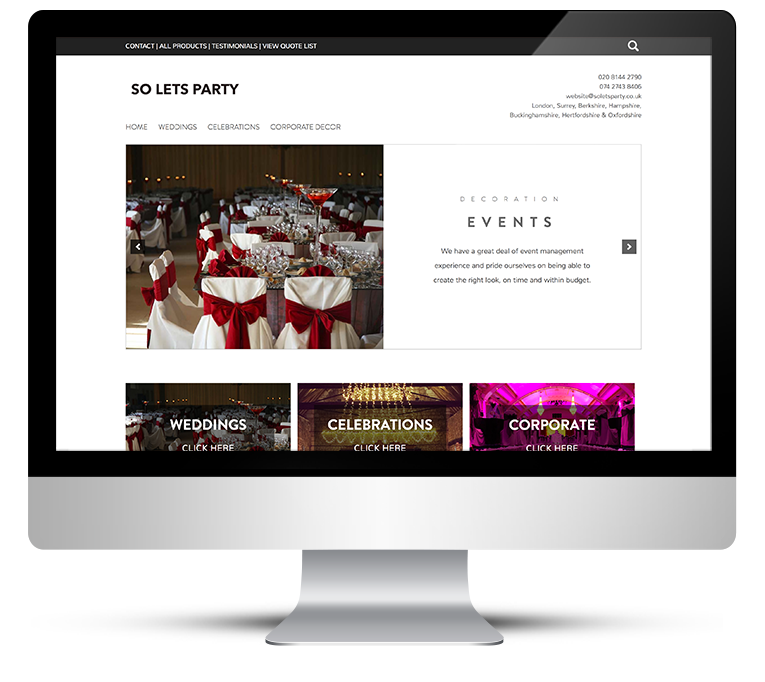 The event décor ranges are designed to give a whole new meaning to impressing your guests! 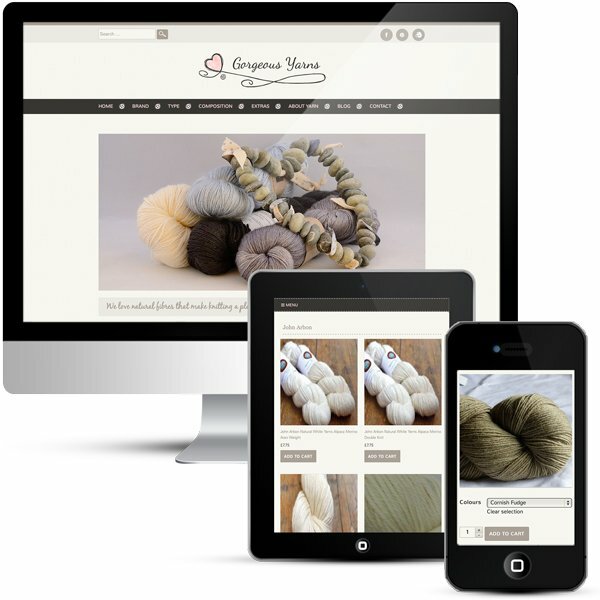 The current website was a bit disjointed and the number of products available slightly overwhelming. 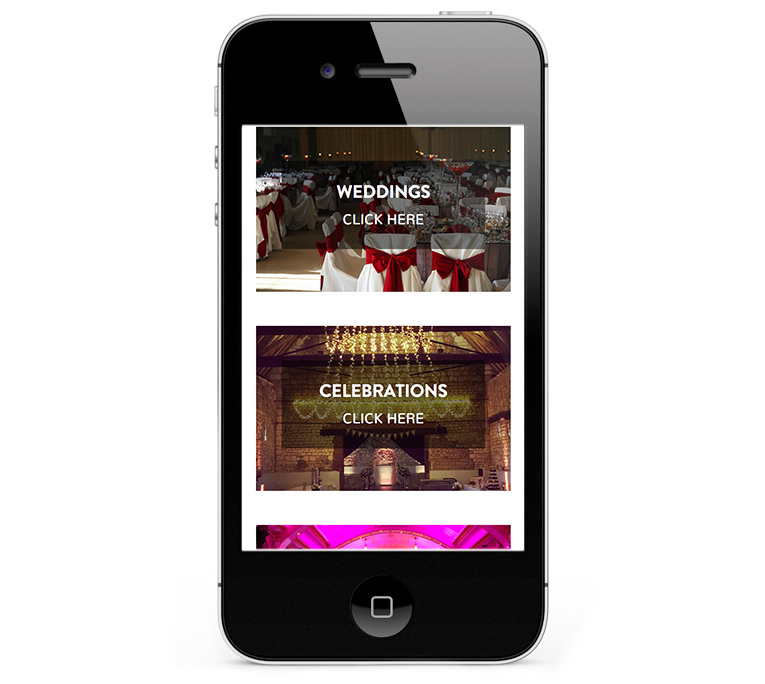 The services needed to be streamlined into categories – weddings, celebrations and corporate. 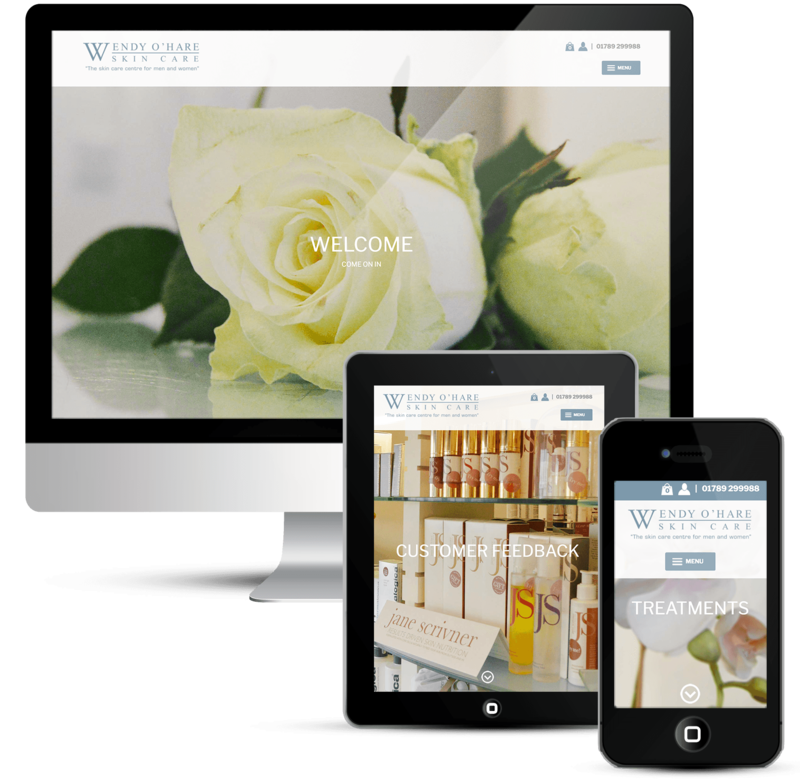 An eCommerce website was required and the products needed to be categorised, so that it is easy for the visitor to find what they need. 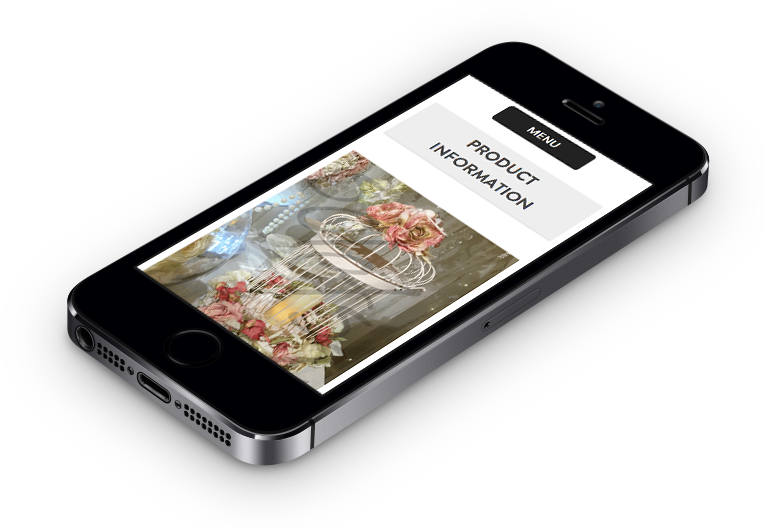 Clear images and product descriptions will enable the client to see exactly what is available and eradicate many unnecessary questions. 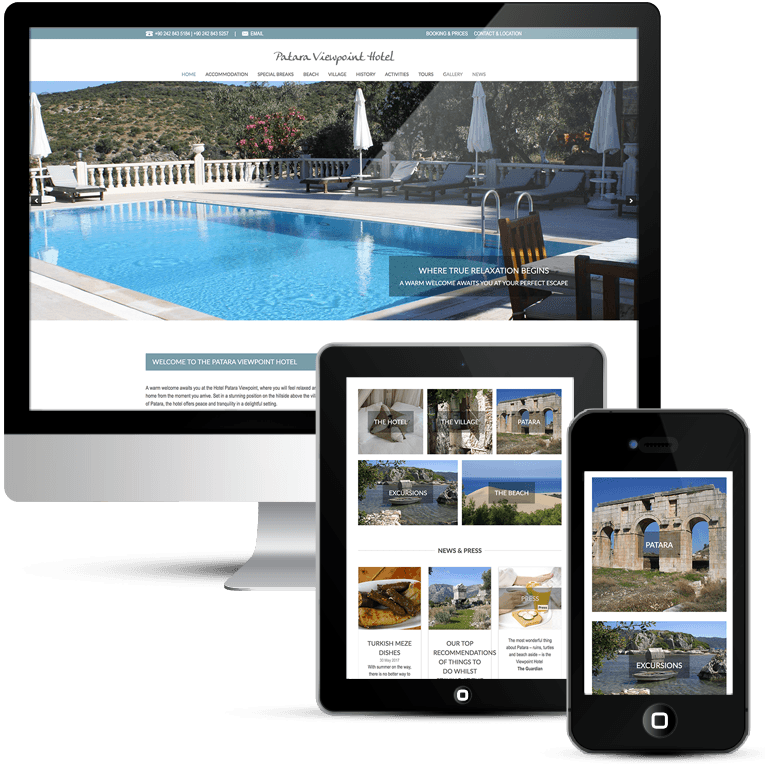 The Q & A section will also help to answer questions for potential clients. 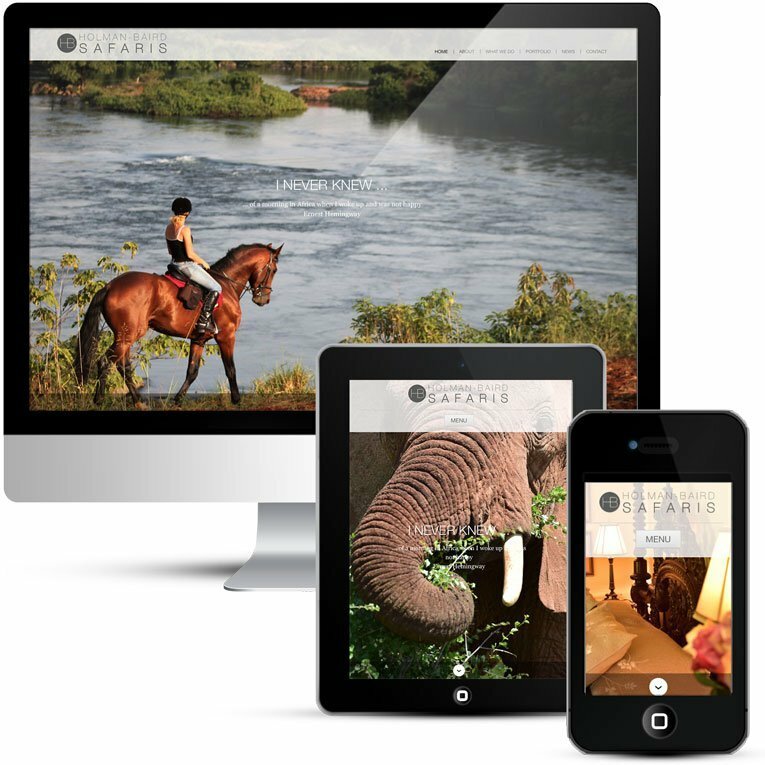 There are so many questions asked that the website could answer. 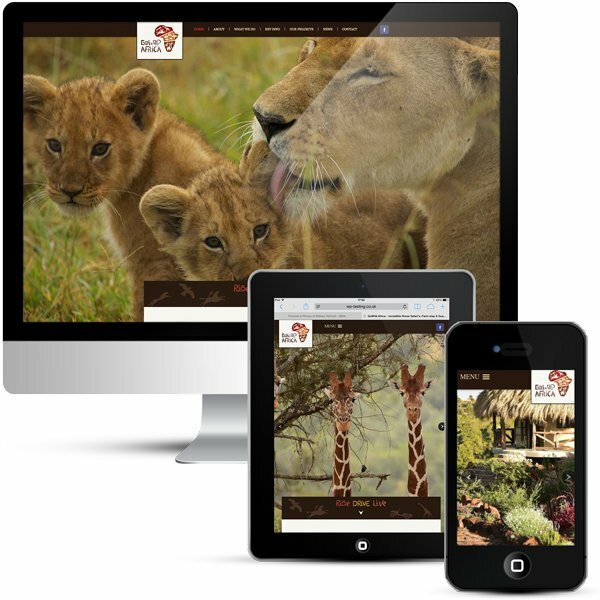 The current website was not mobile friendly. 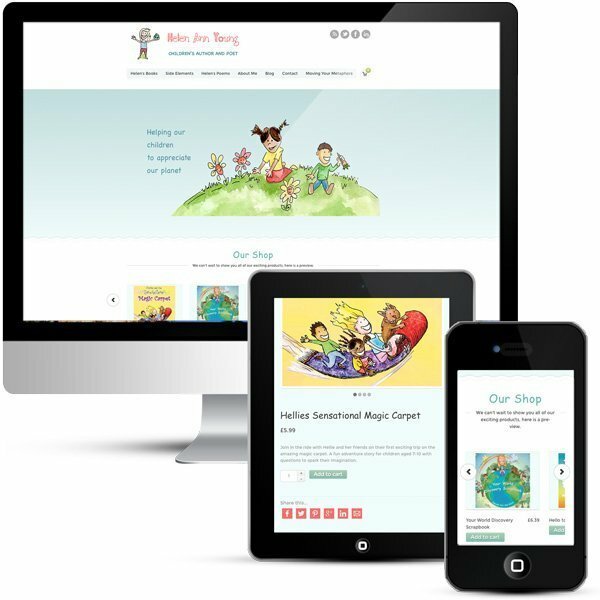 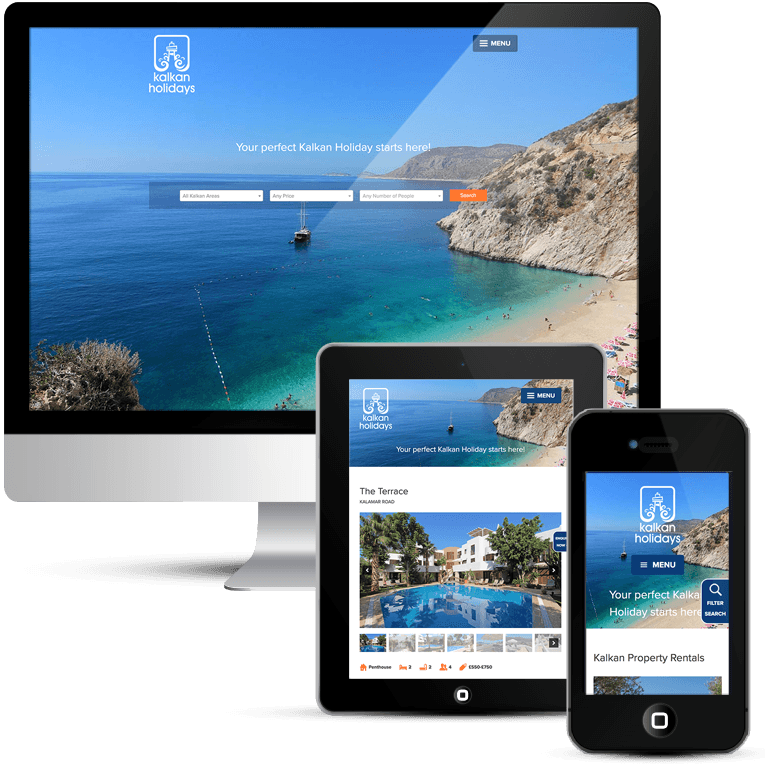 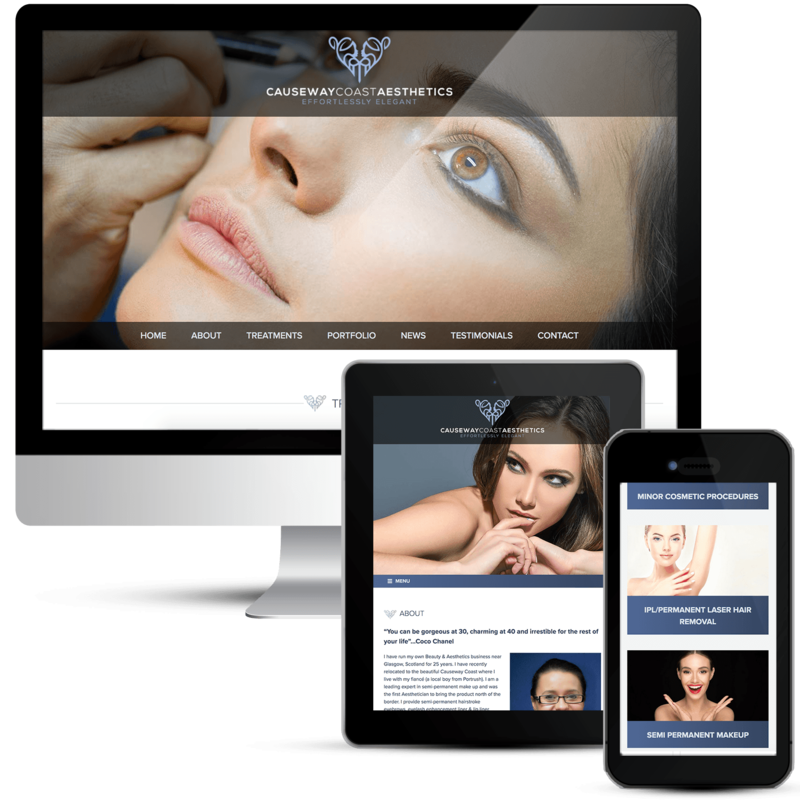 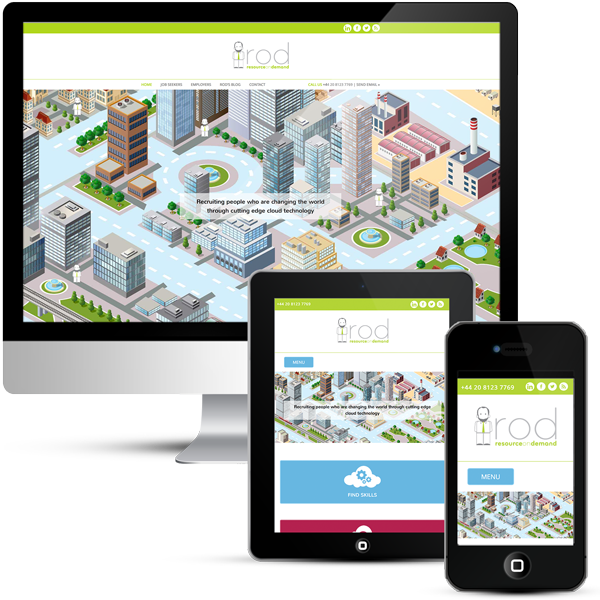 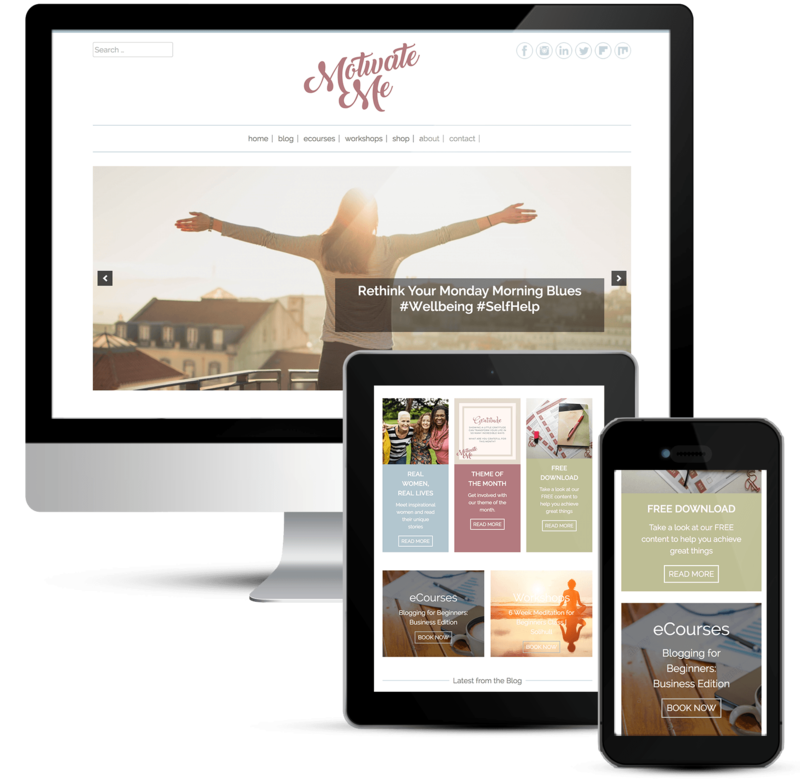 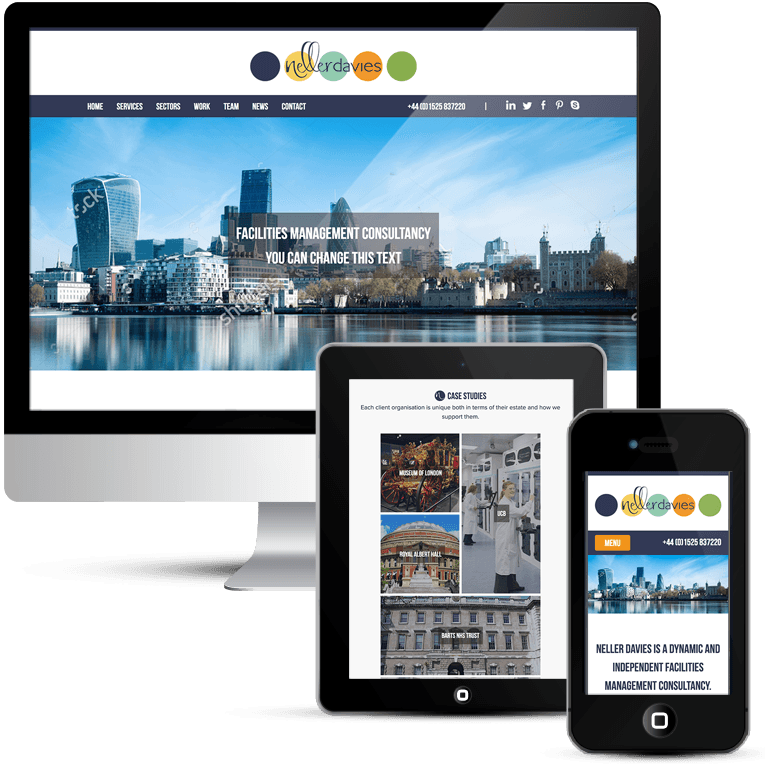 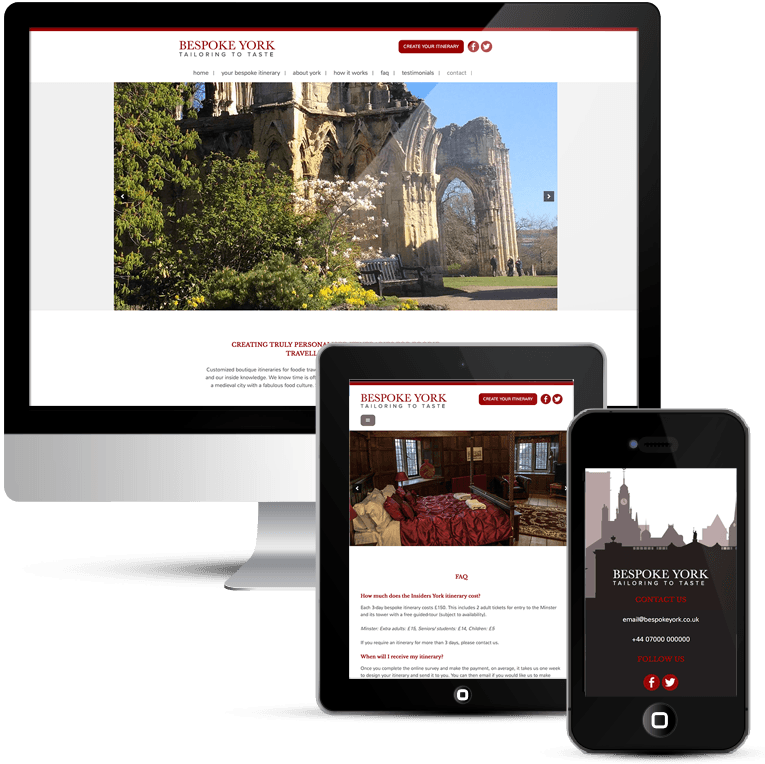 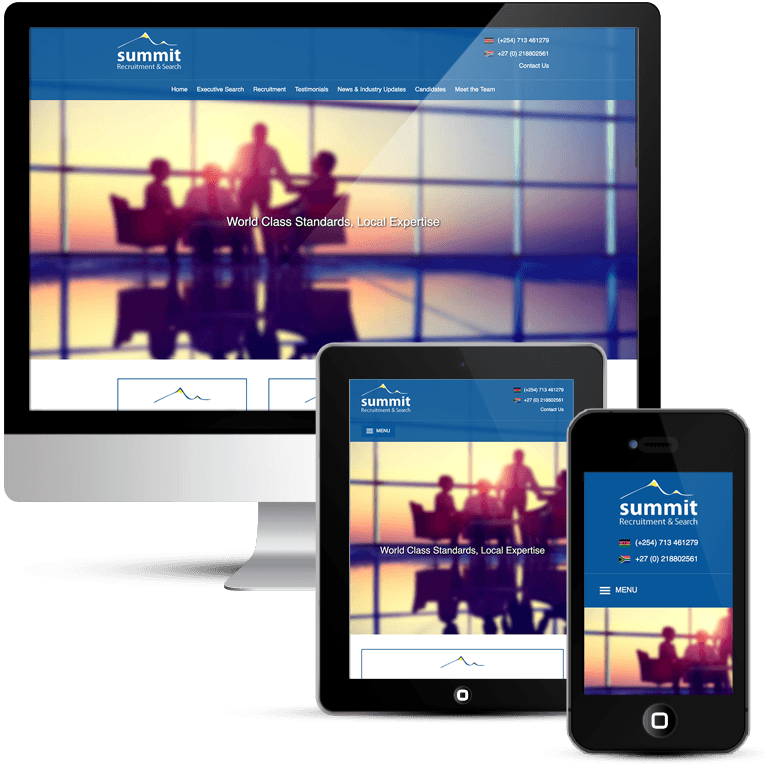 This is a bespoke website design developed into a WordPress theme. 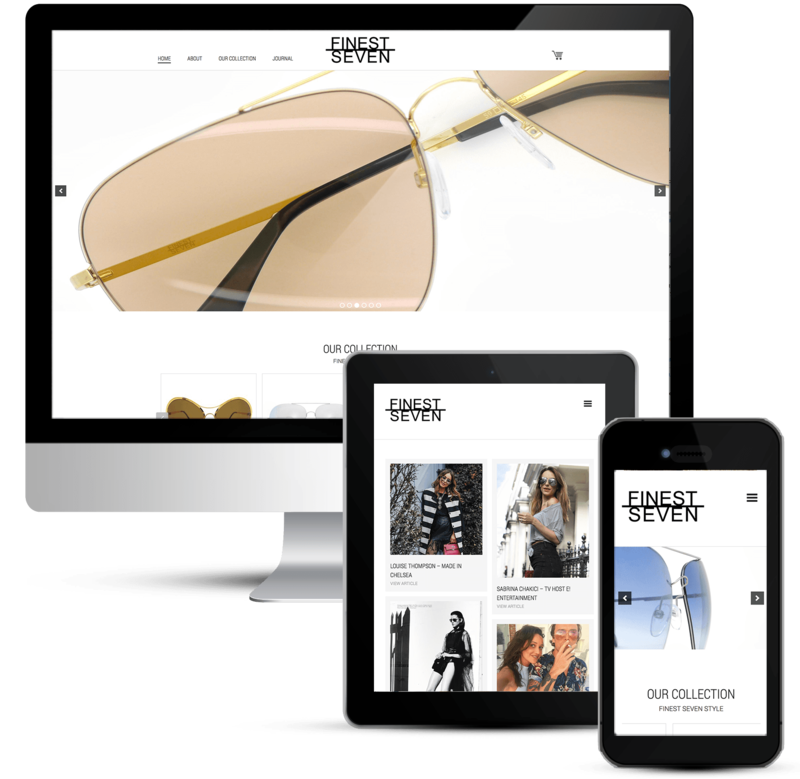 It is an eCommerce website design with WooCommerce for WordPress, which gives the required organised structure broken into categories and subcategories. 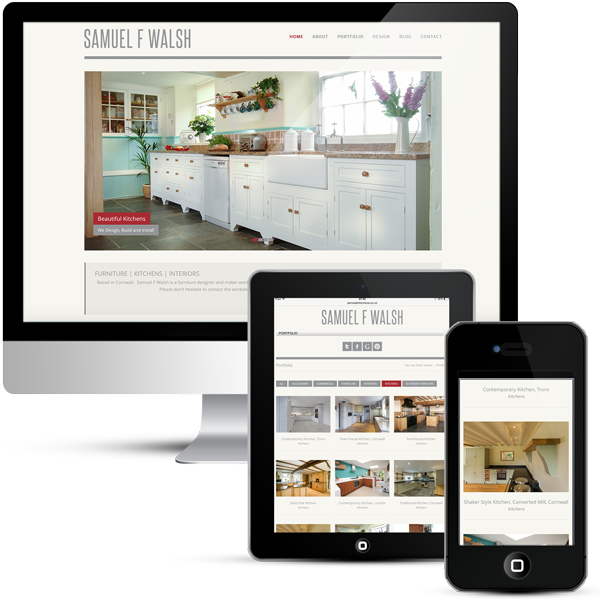 This enables the visitor to drill down and find exactly what they are looking for quickly. 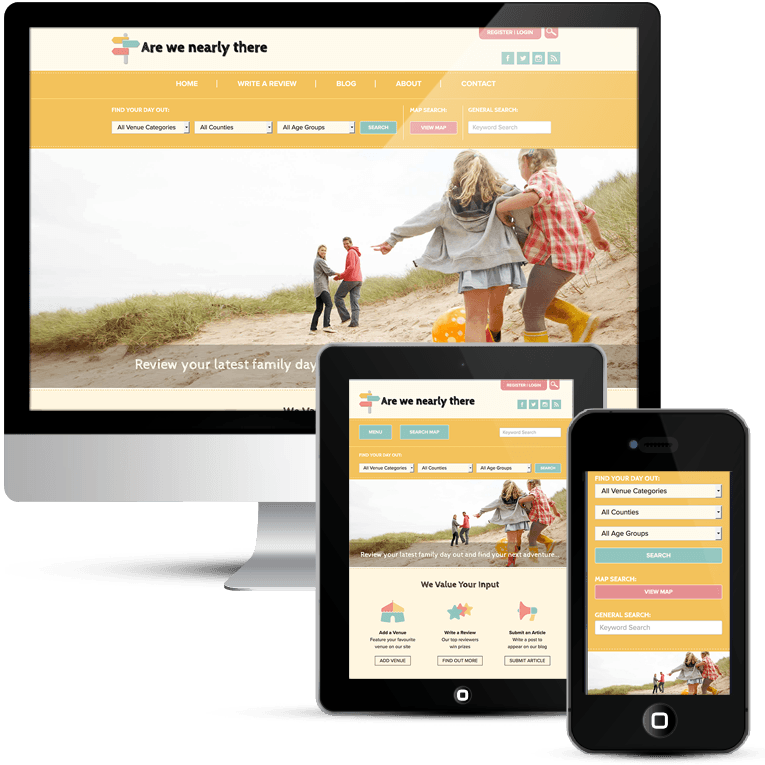 Having a good structure and a good FAQ means that the majority of visitor questions are answered by the website. 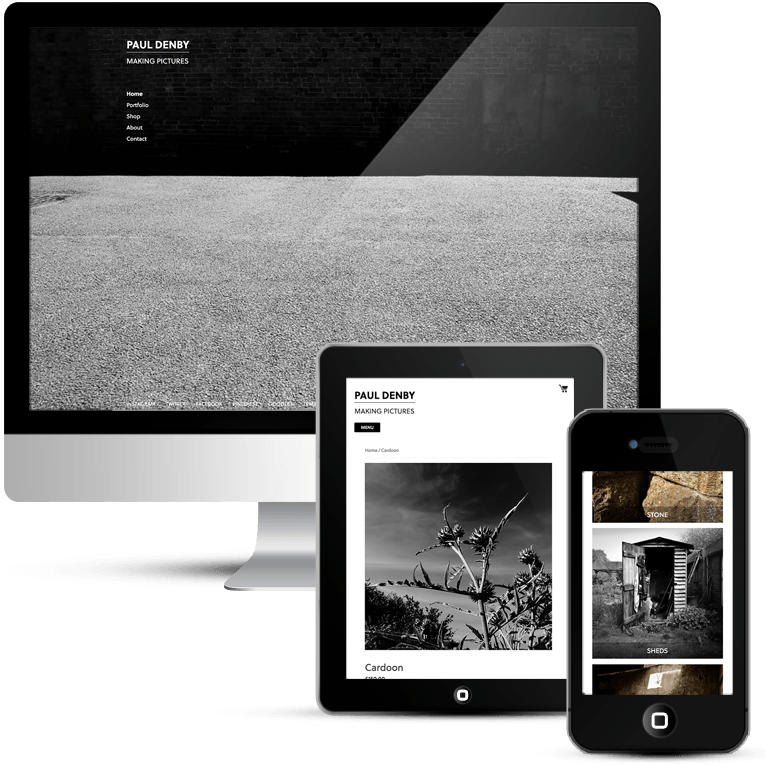 The showcase pages have large galleries and the available packages are clearly displayed. 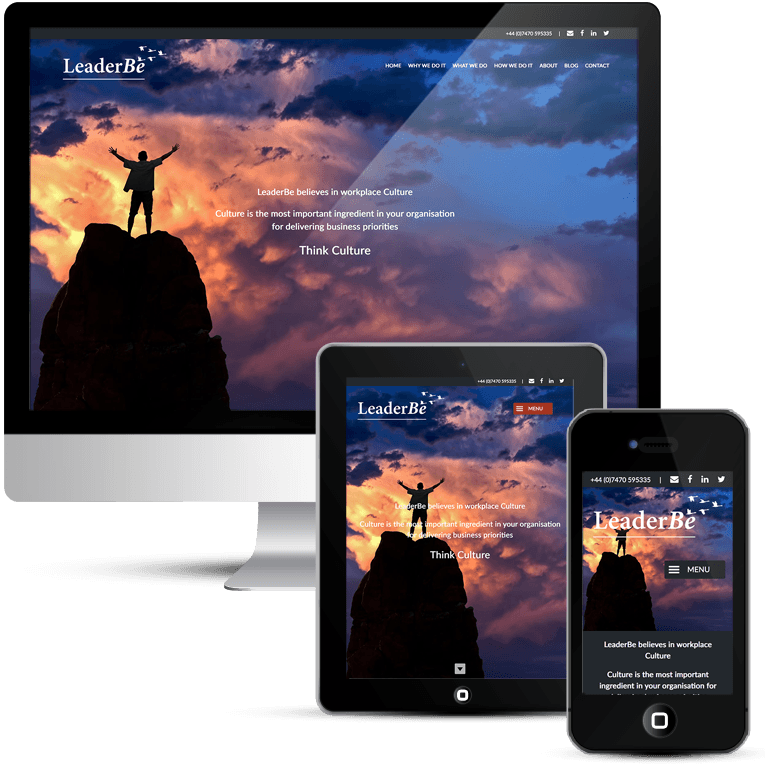 The navigation menu in the footer is clearly laid out in sections. 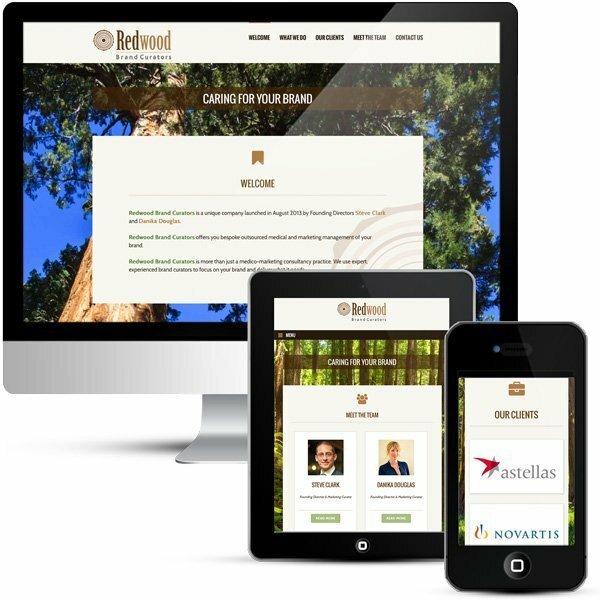 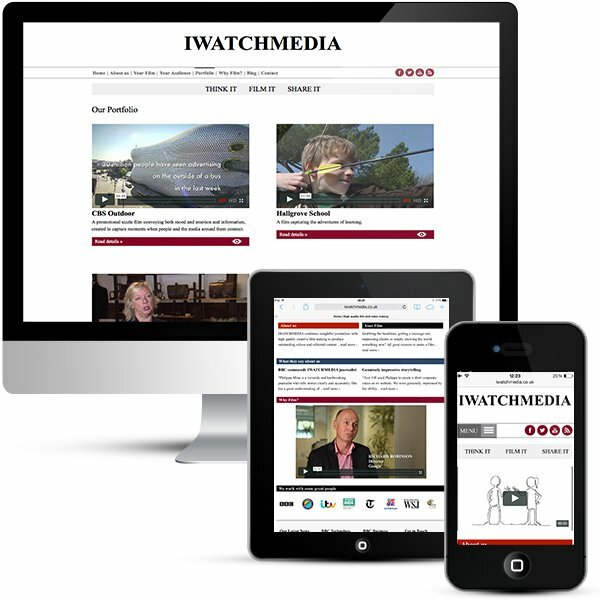 The home page displays latest blog posts and a Facebook feed along with logos belonging to their corporate clients.